The most common complaint I see in my office is gastrointestinal or digestive dysfunctions (e.g., gas, bloating, heartburn, abdomen pain, diarrhea and constipation). Since we treat the cause and not the symptoms, we ask many questions involving a patient’s diet. I often hear, “…my diet has not changed much over the past 10- to 20-years. I’ve been eating the same for most of my life, so my diet can’t be the problem.” However the food has changed—it has been genetically altered. It may look the same, but it is molecularly different. All this has been changed behind our backs without our knowledge. About 5-years ago, I experienced digestive problems. I had unusual abdomen distention, gas and bloating—in fact I thought I was pregnant, but given my age I knew that was not it. I even had an ultrasound done of my liver, which was negative for pathology. I further modified my diet—which was already free of fast food and dairy products. I also eliminated grains. Within a week, my abdominal bloating decreased. I started to notice whenever I ate grains, gas and bloating would follow. So, I added organic grains to my diet and found I did not have any problems. Our bodies do not recognize genetically modified foods and we can not digest them. These foreign products irritate the stomach and intestinal wall, causing inflammation. The body wants to get rid of the irritation as quickly as it can, which results in loose stools. Whenever we eat something we can not digest, we have gas and bloating. So What Is Actually Going On In The Gut? Glyphosate is a chemical found in genetically modified organisms. It disrupts the good bacteria in the gut, which results in high amounts of bad bacteria. This imbalance causes inflammation and prevents the gut from manufacturing amino acids. Amino acids are the building blocks to many systems in the body. Amino acids like tryptophan, tyrosine, serotonin and cysteine are very important to brain function. Without these amino acids, we experience mental disturbances, like overstimulation, inability to focus, lack of appetite suppression, violent behavior, depression and much more. Glyphosate also creates nutritional deficiencies, which prevent normal detoxification in the liver. Glyphosate also depletes micronutrients, such as Ca, mg, zinc, iron and sulfur. These are all important in cardiac, muscle, respiratory, skin and immune functions. It also impairs glucose or sugar utilization, which is evident by the epidemic of diabetes in the US. In my opinion, GMO foods and all the associated chemicals, sets us up for a poor quality of life and health—and probably a reduction in lifespan. Eat organic—it eliminates GMOs in our food. 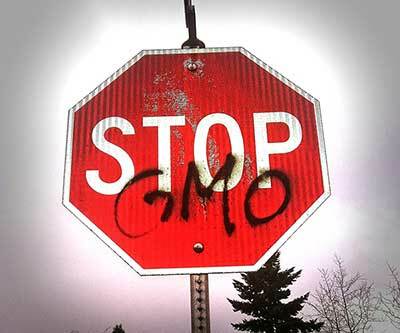 Watch “GMO OMG” the film. Available on: Netflix, iTunes, DVD or Blu-ray.